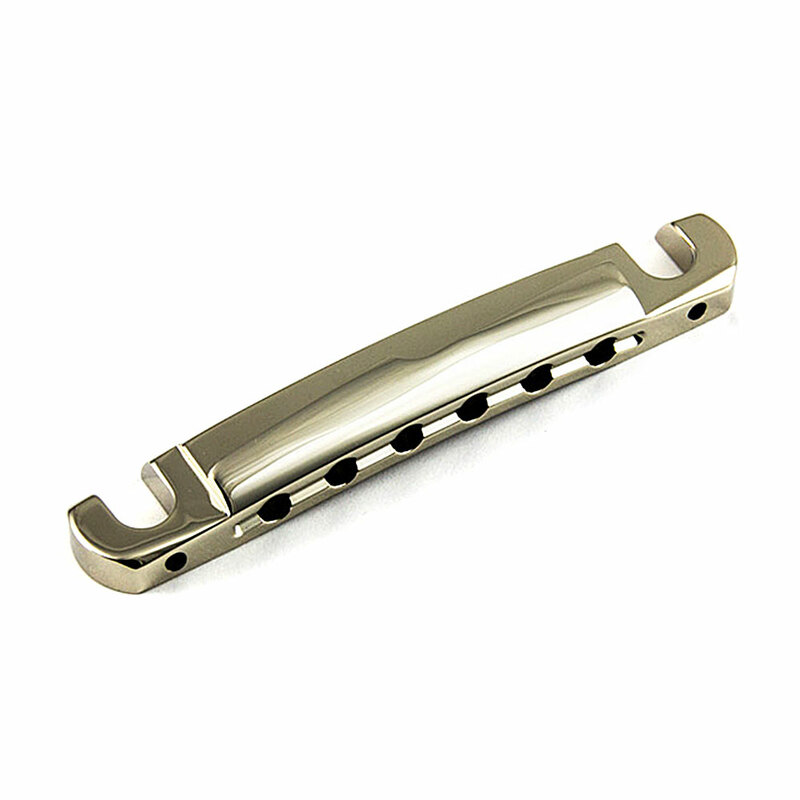 The ABM 3021 Compensated Wraparound Bridge is milled from a solid block of brass for superior quality and tone and improves the intonation of Gibson Melody Maker and LP Junior style guitars that often come with a plain, non-compensated tailpiece. In addition to the compensated string guide there are allen/hex screws behind the bridge posts that can be adjusted to move the whole bridge backwards and forwards and also slant it to add more intonation room to heavy bass strings. 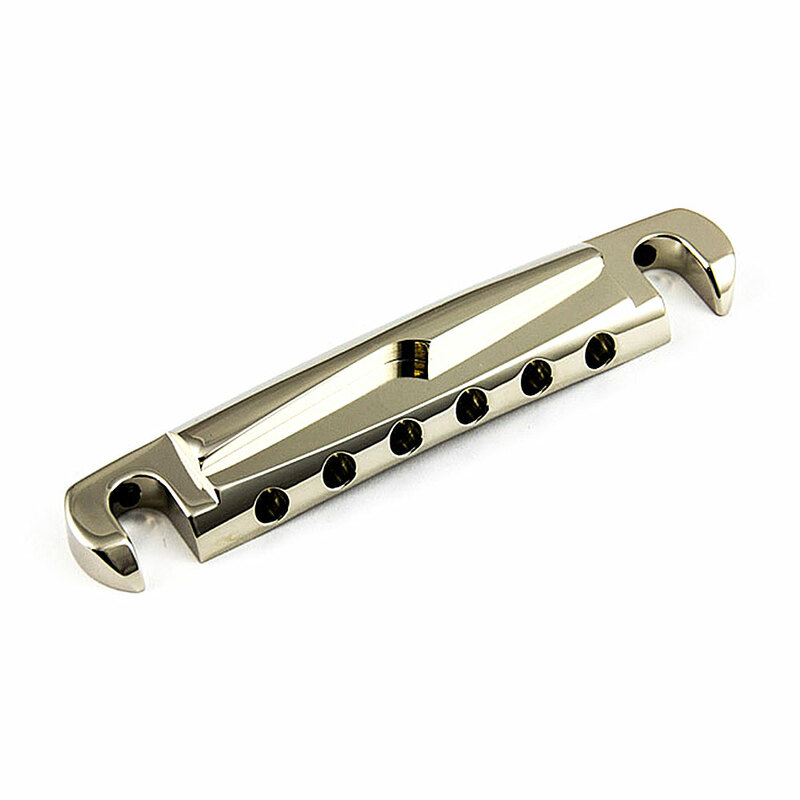 The bridge is supplied with imperial 5/16-24 threaded (Gibson spec) bridge posts and body anchors/bushings and fits the standard Gibson 82 mm (3 1/4") post spacing.